Vienna Convention on the Law of Treaties obliged Russia not to break it. Vladimir Putin's Decree № 361-p "On the Russian Federation's intention not to Become Party to the Rome Statute of the International Criminal Court" does not relieve Russia of obligations. "Even having refused to ratify the Statute, Russia does not have international legal justification for refusing to cooperate with the Court in relation to the offenses which may be incriminated to its nationals committed within the period from 13 September 2000 to 16 November 2016," international lawyer Serhiy Sayapin said on 17 November in an exclusive comments to LB.ua.. The expert believes that the decree of the Russian president in the circumstances is important, at least in two senses. Firstly, it means Russia's determination not to ratify the Rome Statute, in accordance with its Article 126. "This means that Russia does not intend to participate in the work of the Assembly of the Rome Statute of the member states, to contribute financially to the activities of the Court, to participate in the formation of its bodies etc. These powers are reserved solely for the states that have ratified the Rome Statute," he said. "In turn, in my view, it would be wrong to believe that since the signing of the Statute of the Russian Federation on September 13, 2000 until the publication of this decree in November 16, 2016, Russia was entirely free from any obligations under the Statute," he added. Sayapin said that Article 18 of the Vienna Convention on the Law of Treaties oblige Russia after the signing of the Rome Statute to refrain from acts which would deprive the Statute of its object and purpose. The wording of the article says it is s a legal obligation, not a moral or political commitment. "In other words, in the period from 13 September 2000 to 16 November 2016, Russia was legally obliged not to take any actions that might cause or give grounds for serious crimes of concern to the international community set out in the Statute (Article 1 of the Statute)," he said. 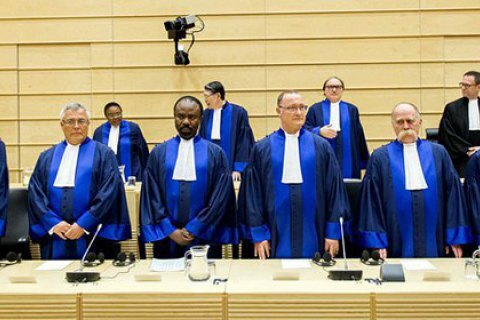 The expert recalled that the report of the Prosecutor of the ICC on November 14, 2016 provides a list of alleged crimes under international law that have taken place in Crimea and Donbass, in the commission of which may be involved citizens of the Russian Federation. "From the report of the Prosecutor to the conclusion it may follow that Russia has violated the obligation under article 18 of the Vienna Convention on the Law of Treaties," said Sayapin.